With the weather warm outside there is one thing, we need is a huge assortment of. Bodysuits or onesies which ever you prefer to call them for your little one. For me bodysuits are used every single day in our house from naptime, bedtime, and playtime and sometimes they just make an outfit complete. I love that they are not too thick and not too thin. I love it when I come across cute body suits that are super stylish. It is also very important to make sure that the bodysuits I have for Lillian are made very well and offer quality material. I had the chance to work with Clever Birds on a review and they were kind enough to send my little girl two different bodysuits. Clever Birds was created because they believe that every parent deserves the opportunity to dress their baby in beautiful, unique, creatively designed clothing. Their design aesthetic is immediately apparent as they translate their inspirations into stylish designs, using soft supple fabrics, while sustaining great quality and affordability. Clever Birds products allow you and your newborn to begin their life in playful, comfortable, fashionable apparel. They offer several design options; Boy, Girl or Unisex (which can be for either a boy or a girl). During my review we were sent two different bodysuits for little Miss Lillian. One was the Flowers & Butterfly while the other one was the Bunny Princess. Both of these items are made of cotton micro blend. The designs on each of the body suits are super cute and make for a complete outfit with her added bows. 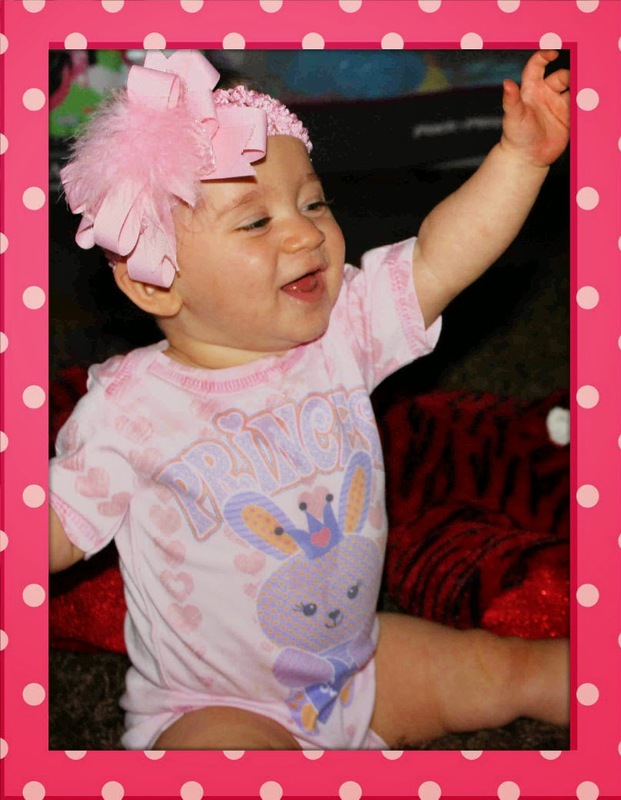 The Flowers and Butterfly bodysuit offers purple and blue colors while the Bunny Princess is pink with hearts. You can tell that a lot of thought was put into each design to make the bodysuits extremely cute and stylish. There are several amazing features about these Clever Birds bodysuits. They are extremely colorful, have cute designs and they are extremely soft. I love knowing that I am putting a soft bodysuit on my little girl with her delicate skin. I know that she enjoys the bodysuits because when I put them on her for the first time she keep rubbing her belly to feel the material. I am very impressed that during the washing and drying of the bodysuits they did not shrink, fade and the material did not get stiff or scratchy. I love that the size I received is for 6-12 months, which will allow my little girl to enjoy her cute little bodysuits for a long time. Where to purchase: You are able to make a purchase from the Clever Birds website. enjoy her cute little bodysuits for a long time.